How Do Home Care Companies Work? This can be one of the most confusing parts about home health care. There are many different types of home care companies, and they all offer different types of services, levels of care, and have different regulations. It’s important you understand what each type of home care company can offer you and your family. Each state has their own unique requirements and regulations for home health care companies. Our goal is to help you find the best fit for your family, so we’ve compiled the list below to help you better understand your options. In the state of Florida, a licensed health care professional can perform services that are within the scope of their professional license. The state does not require background screenings or regulate minimum standards for patient services. They are not required to carry insurance, which can put your family at risk. A companion organization provides homemaker and companion services only. They are not licensed to perform hands on care and are not required to have nursing supervision. In this relationship structure, you hire the companion organization directly and they provide home care services through employees or contractors. Due to the low start-up cost of these organizations, only requiring a state registration of $50 every two years, most of these organizations are small, locally-run franchises of larger companies with established brand names. In the state of Florida, these companies have no minimum requirements for patient standards and their caregivers are not required to complete training or competency tests. Many registries also encourage caregivers to hold professional liability insurance to help protect your family. Another benefit of the registry model is the backup support the registry can provide when your caregiver is unavailable or needs time off. The state requires all registries to have a nurse on-call during hours of patient service, giving you additional emergency backup support. A home health agency provides a turnkey home care solution for skilled, personal and companion care. With a home health agency, your family hires the agency directly and they provide services through their caregivers, who are full or part-time employees. Home health agencies are heavily regulated by the state of Florida and required to carry liability and malpractice insurance up to $250,000 per claim. When you choose to work with a home health agency, the agency assumes the responsibilities and liabilities of the employer. They handle all payroll taxes, insurance and other human resources related tasks. Most companies providing in-home care only offer one of the relationship structures discussed above. At Sonas, we are licensed by the state of Florida as a registry and a home health agency. This allows us to give you even more options on how you want your home care relationship structured — all under one roof. Not sure which relationship structure will be the best fit for you and your family? Give us a call today at (888) 592-5855 and speak to one of our home care experts. They will be happy to walk you through a series of questions to discover which model will work best for you. To learn more about how home health care companies are regulated, visit Florida’s Agency for Home Health Care Administration. 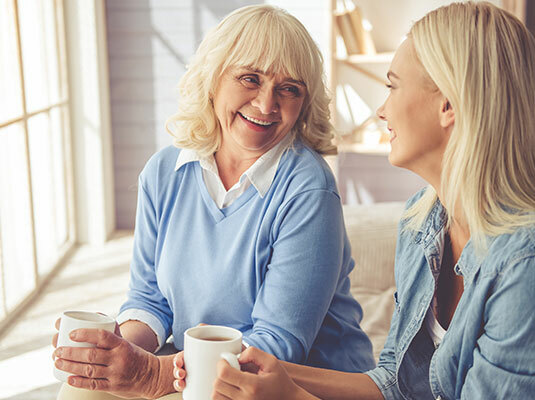 Now that you understand the home care relationship structure options, it’s time to start thinking about what level of care you or your loved one needs in order to remain independent at home and to live life to the fullest.